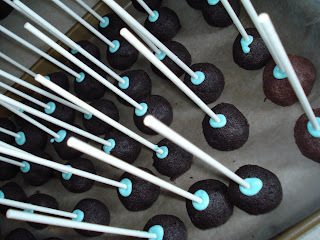 It turns out that cake pops are a big hit with everyone! 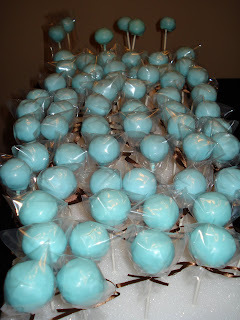 They are great favors for guests for birthdays, showers, sport teams and even weddings. 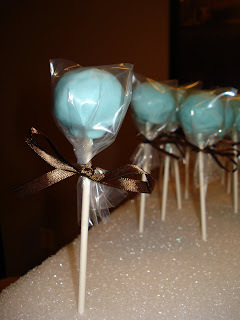 They are also a great and sweet way of saying "thank you." They come in a variety of flavors and colors. Ribbons make a great finishing touch to help personalize the theme of your event!! !